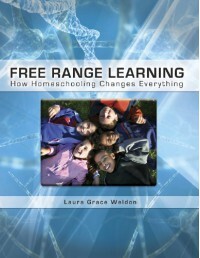 This week I finished up "Free Range Learning: How Homeschooling Changes Everything" by Laura Grace Weldon. We haven't "officially" started homeschooling yet; my daughter is just entering the preschool years. Everything is laid-back and fun right now, with only a little guidance from me as I notice interest and wonder. And lots of reading, of course! She's our first (and only), and I am utterly fascinated by how natural it is for her to learn things like numbers, the alphabet, putting sounds together - often without any input from me. I would love to keep this organic type of learning going. Many aspects of unschooling appeal to me, but so many of the books I've read on the topic felt too extreme for my own comfort. I need a bit of structure, but I definitely do not want to get in the way of the joy my daughter receives when making her own connections as a result of her natural curiosity. Free Range Learning helped me envision what a balance between the two would look like. The first part of the book encourages the reader to think about the settings in which learning occurs. How can we live a life that encourages natural learning? It spills over into all parts of the family's life, and even into relationships with others. The first several chapters shatter the notion that learning occurs only at a desk, between certain hours of the day. These pages challenged me to trust that my child is learning, even if it occurs in an unconventional way. The second part of the book is broken down by subject matter (Math, Science, History, etc.). Each chapter contained practical ways of - and ideas for - cultivating natural learning in that particular subject area. Weldon also included a multitude of subject-specific resources such as links to websites and book suggestions for further reading. 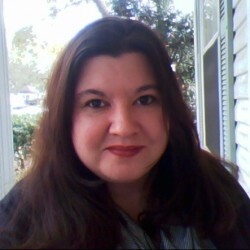 I was reading on my Nook Tablet, and was always moving back and forth between the book, the browser, and the shop, bookmarking websites and adding books to my wishlist. While reading Free Range Learning I kept thinking, "This is going to be a great resource. I need to keep it handy so I can come back to it when C is a little older." I highlighted so much! The book appealed to all of the aspects I love about unschooling, without once suggesting that unschooling is the ideal way to educate one's child. It encourages parents to educate their child according to what works best for that child as an individual, recognizing that that will always look unique. If you already feel very secure about having an unschooly or child-led approach, and especially if you've been homeschooling for a while, you may find yourself skimming some portions of the book. I still enjoyed these sections, probably because we're still new to all of this and don't know many people who homeschool. I'm still doing a lot of thinking and information gathering. No matter your style of homeschooling, if you want your child to love learning, there is plenty in this book for you. "We can educate as easily as we breathe simply by remaining fully present to our children's questions and enthusiasms." "A child's desire to learn is a light that shines from some inner part of his or her being. As adults, we are guardians of that light. Many times we find that it illuminates us as well when a child's awe and wonder reinvigorates our own lives."